Our Preschool program focuses on children from age two to their fourth birthday. We believe that one of the best things a parent can instill in very young children is a love for learning. We suggest that a gentle approach to education be taken during these very early years, because most young children do not have adequate fine motor control to do much work in a workbook-style curriculum. Instead, we recommend a hands-on method. Although we use very few testing materials in the early years, we do recommend either a test or a checklist before starting instruction in reading. Children lacking in gross motor or fine motor skills will likely face frustration in reading instruction. Most of the items in this package are non-consumable, if the original items are kept then additional children going through this level would be $115 each. 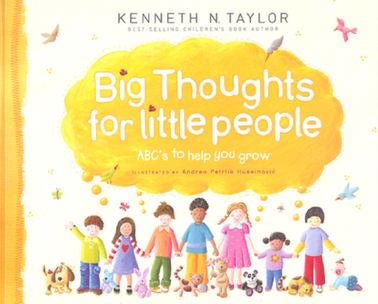 Ken Taylor’s best-selling book is now updated with all-new bright and colorful illustrations and a larger trim size. Using the alphabet as a learning tool, the easy-to-use format of this beloved picture book connects Bible themes and verses that teach kids ages 3-7 Christian values. Each spread represents a letter of the alphabet and a Christian value or moral lesson beginning with the same letter. Kids are encouraged to find the lesson being modeled (or not) in the illustrations. Give preschoolers the gift of learning with this Montessori-inspired early-childhood activity book! In the Montessori Method, knowledge develops through the senses, and learning is nourished by freedom of choice, practical experience, and direct experimentation. This method of educating children has been widely implemented around the world, in preschools and beyond. 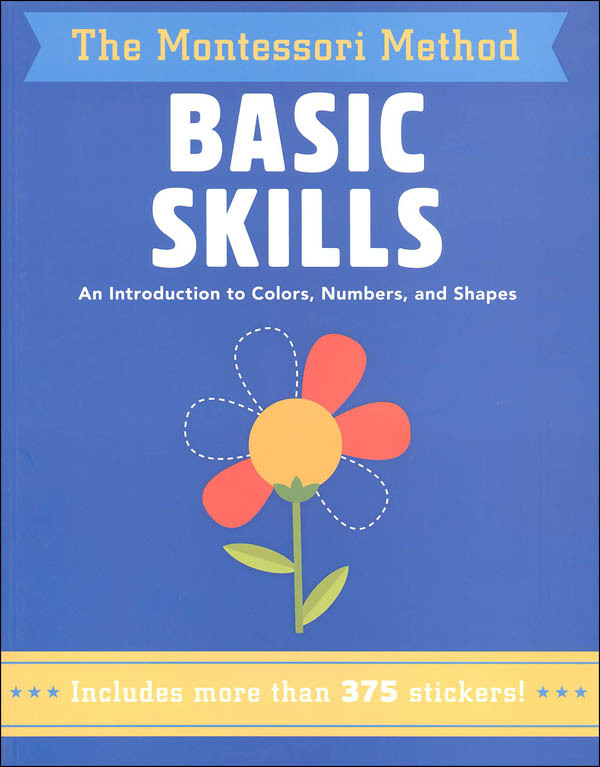 This engaging book with 24 pages of stickers focuses on three main early-learning concepts: colors, numbers, and shapes. Each activity, be it choosing the correct color to fill in a picture, finding the hidden triangle, or helping a squirrel count his acorns, stimulates learning through play and enhances the child’s cognitive development. The activities become progressively more complex according to the three stages of a child’s learning: getting to know the material through sensory experience, recognizing the material, and being able to explain the material. For example, an activity will ask a child to identify the color yellow, then to pick which object to color yellow, and explain why. The stickers tie into the activities, making the experience more tactile for the child. Give preschoolers the gift of learning with this Montessori-inspired early childhood book and box! Give preschoolers the opportunity to practice their colors, shapes, and numbers with this colorful Montessori workbook full of engaging activities about animals and nature! 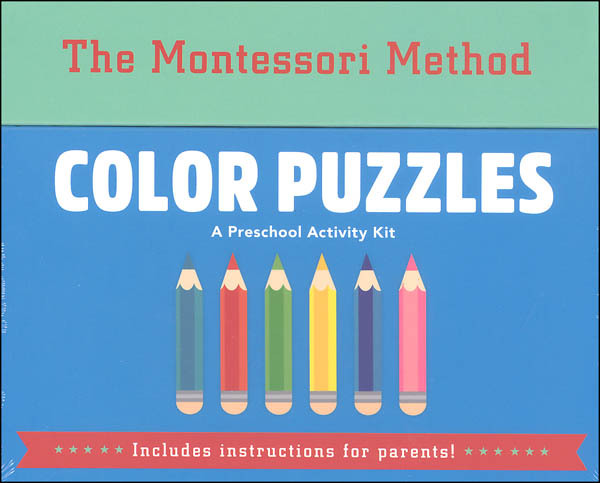 The animal- and nature-themed activities in this fun compendium focus on colors, numbers, and shapes, and grow more complex according to the three stages of a child’s learning: getting to know the material through sensory experience, recognizing the material, and being able to explain the material. For example, they’ll count the number of quills on a porcupine, pick the correct number from three choices, and trace it. Or, they’ll color in the different parts of a beautiful butterfly using the right shades, explore a mole’s tunnel by joining the dots, and connect five birds to their different nests. Twenty-four pages of stickers at the back of the book make learning more tactile and interactive. 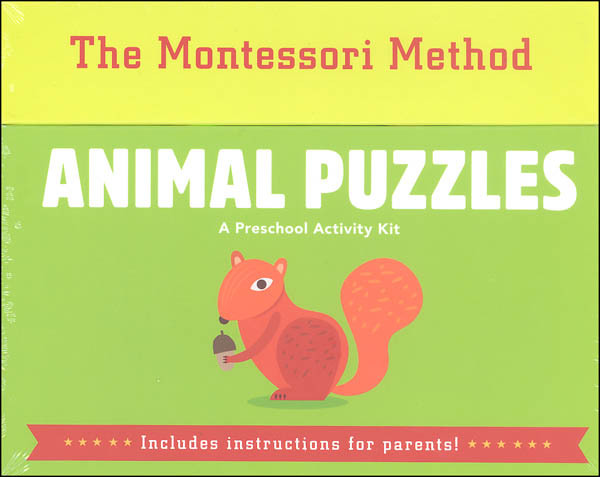 This box is filled with animal puzzle fun that teaches children about some favorite creatures including deer, owls, foxes, and seals and their habitats. 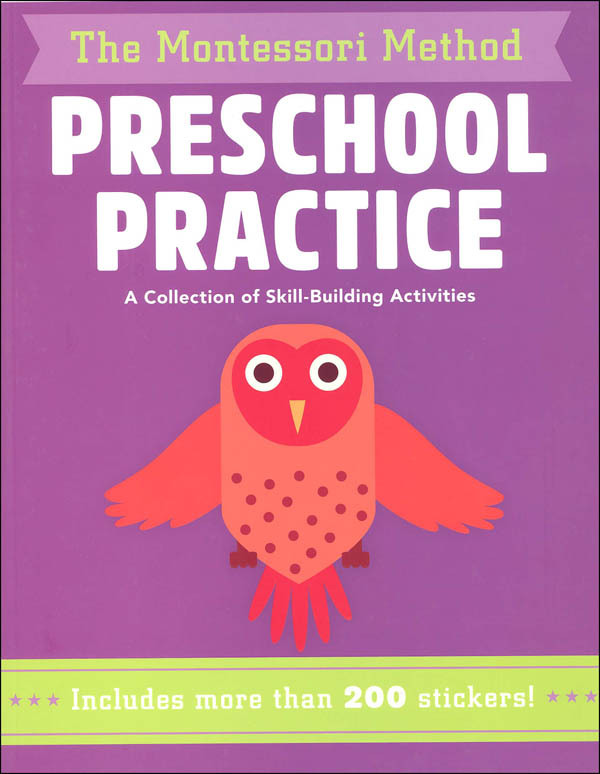 Jigsaw-style activities help children master basic concepts, while an accompanying booklet explains how the process works. It not only stimulates learning through play: it enhances the child’s cognitive development. The activities become progressively more complex according to the three stages of a child’s learning: getting to know the material through sensory experience, recognizing the material, and being able to explain the material. Look at all the dogs! 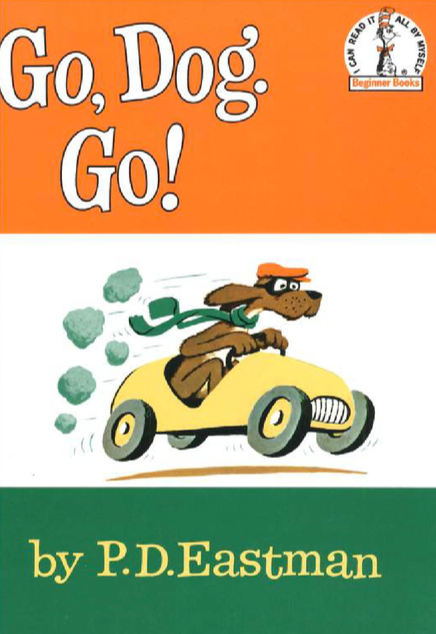 There are dogs in cars, dogs at work, and dogs asleep.Read along and see where they go and what they do. 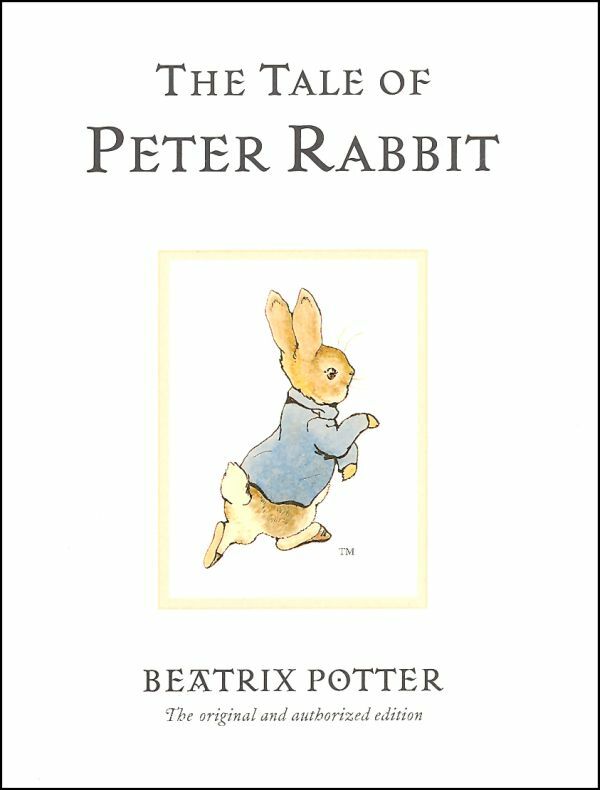 This book contains four of Virginia Lee Burton’s best-loved children’s books, unabridged and with the original illustrations. 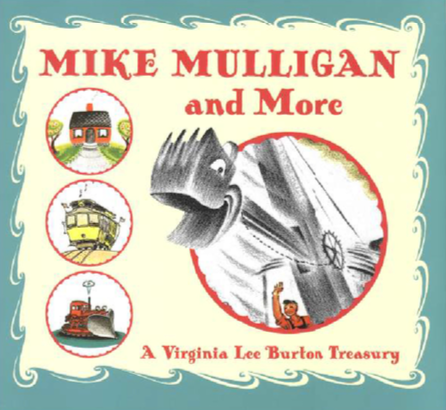 Contains Mike Mulligan and His Steam Shovel, The Little House, Katy and the Big Snow, and Maybelle the Cable Car. Discover why these books have been children’s classics for more than sixty years. It was this charming book that first introduced readers to Edward Bear – or, Winnie-the-Pooh as he came to be called. Written for A.A. Milne’s son, Christopher, this book was the result of many bedtime stories about the bear and his friends – and even Christopher Robin himself. 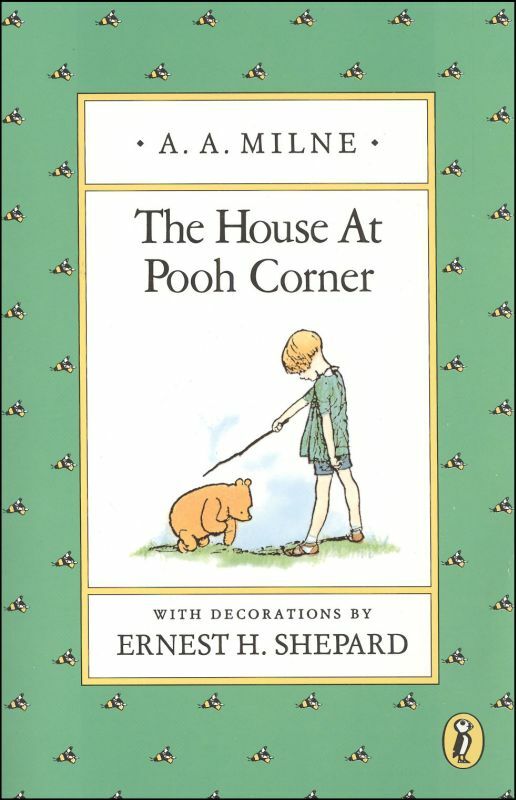 It is in this volume that readers will find the beloved stories in which Pooh disguises himself as a raincloud to trick some bees (“Tut, tut, it looks like rain”), Pooh becomes quite stuck in Rabbit’s hole after a visit, Pooh and Piglet hunt for Woozles, Eeyore loses (and finds) his tail, Piglet meets a Heffalump, Piglet survives a flood, Christopher Robin leads an “expotition” to the North Pole, and more. 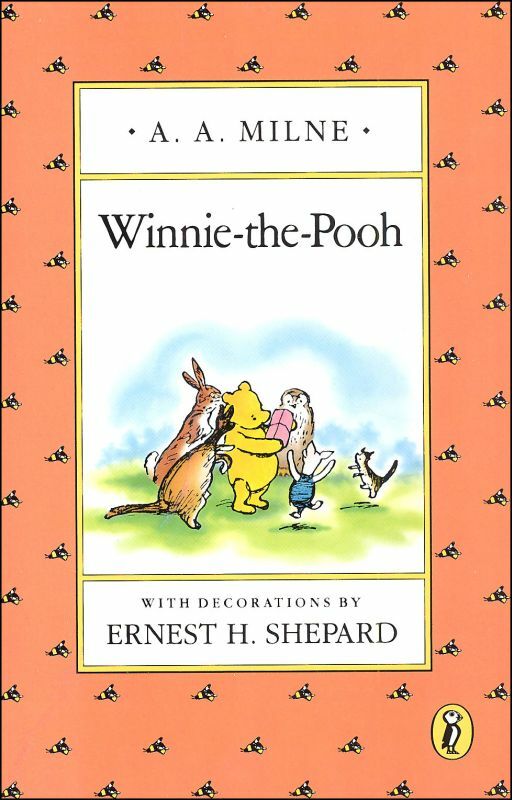 Ten chapters, or stories, are included overall, accompanied by the original artwork of Pooh and his friends by Ernest H. Shepard. 161 pages, softcover. This Winnie-the-Pooh title contains ten well-loved stories you’re sure to have repeated bed-time requests for. Stories include: “In Which A House Is Built at Pooh Corner for Eeyore,” “In Which Tigger Comes to the Forest and Has Breakfast,” “In Which a Search Is Organdized and Piglet Nearly Meets the Heffalump Again,” “In Which It Is Shown That Tiggers Don’t Climb Trees,” “In Which Piglet Does a Very Grand Thing,” and more. Black-and-white illustrations, pb. 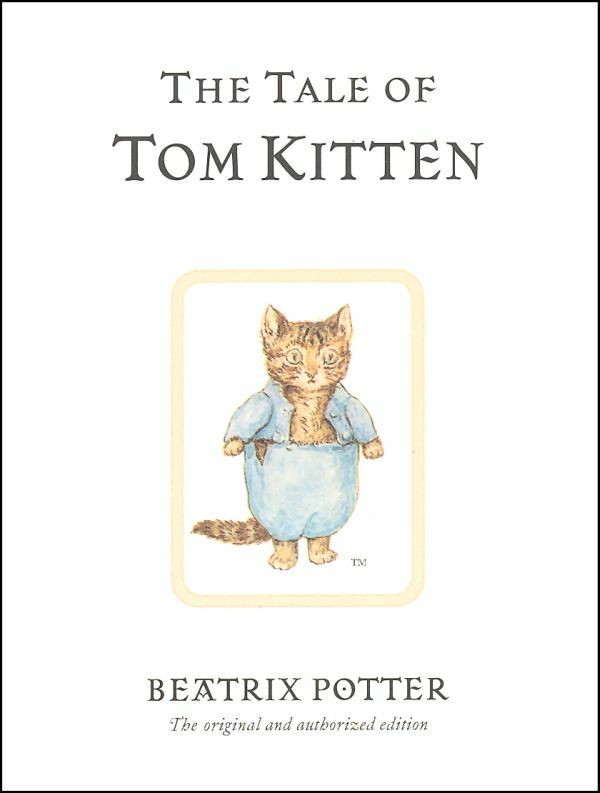 The Tale of Tom Kitten is set in the cottage garden Beatrix Potter created herself at Hill Top, the farm she owned near the village of Sawrey. Tom and his sisters look so smart in their new clothes. When their mother sends them outside while she waits for her visitors, she couldn’t possibly guess what kind of mess they are going to get themselves into! This CD includes 45 minutes of carefully chosen music from a variety of the Vivaldi’s work. 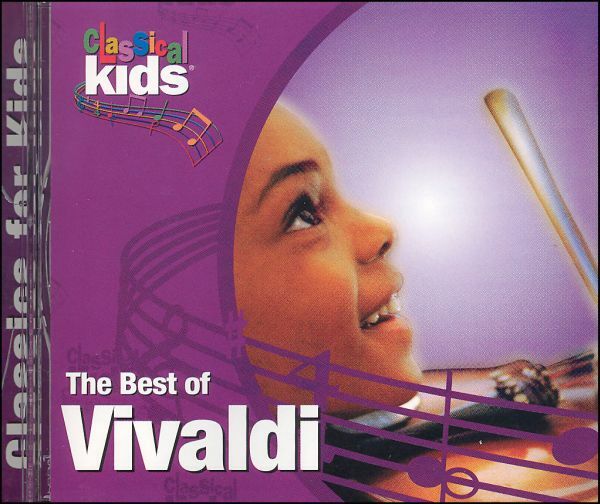 This would work well as an introduction for young children to classical music or just for listening pleasure anytime. A veritable activity center for little hands! 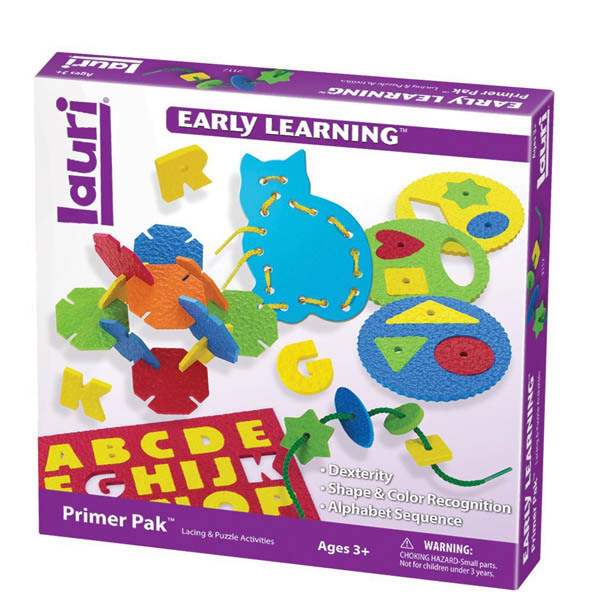 Pack includes an 8″ x 8″ alphabet puzzle, 3 lacing shapes, 4 fit-a-space disks with basic shapes, and 24 “locktagons” to form structures. A resealable box provides compact storage. Hours of manipulative fun here. All 33 pieces of the set are stored in a wooden box with a durable plastic cover. 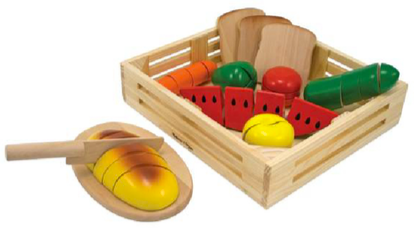 Basically, the set includes a mini wooden cutting board, a wooden cutting knife, and eight wooden pieces of food. These colorful food items are pre-sliced into 2-5 pieces and re-attached by hook-and-loop fasteners. Children can take a piece of food, place it on cutting board, and cut through the fastened pieces like they are cutting through real food.